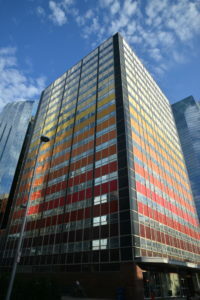 The International-style Fidelity National building was constructed as fears that retailers and businesses would leave the downtown core for the suburbs. 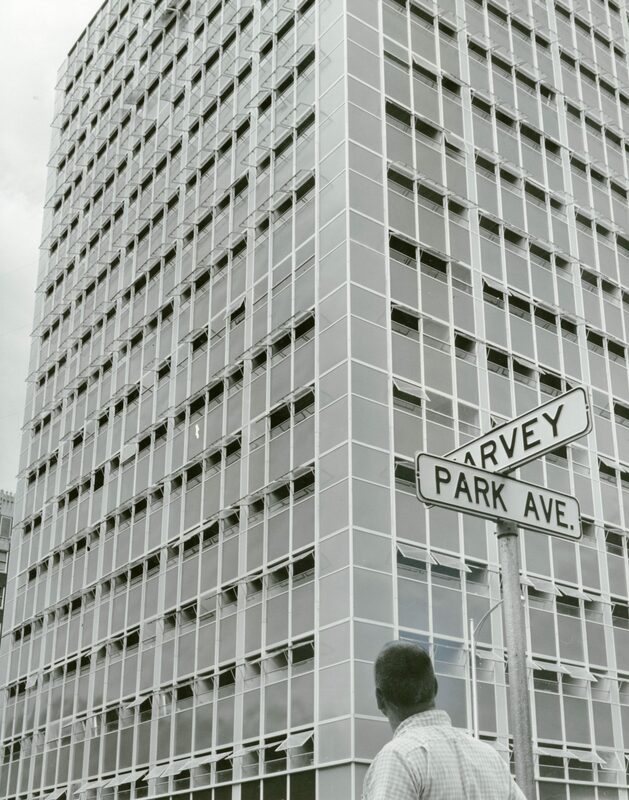 To entice people to stay, builder-investor, Sylvanus G. Felix believed that creating a thoroughly first rate and very modern building would do the trick, so he hired local firm, Sorey Hill Sorey to design a tower on the prairie that also would look right at home in New York City. Fidelity National Bank became the anchor tenant, so the office building was named after the firm. 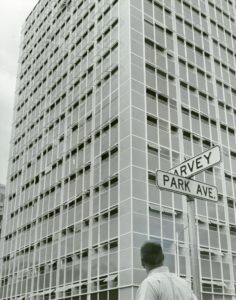 When Fidelity moved out in 1972, the structure was renamed Park Harvey Center, but a new name didn’t help with dwindling occupancy rates over the next few decades. 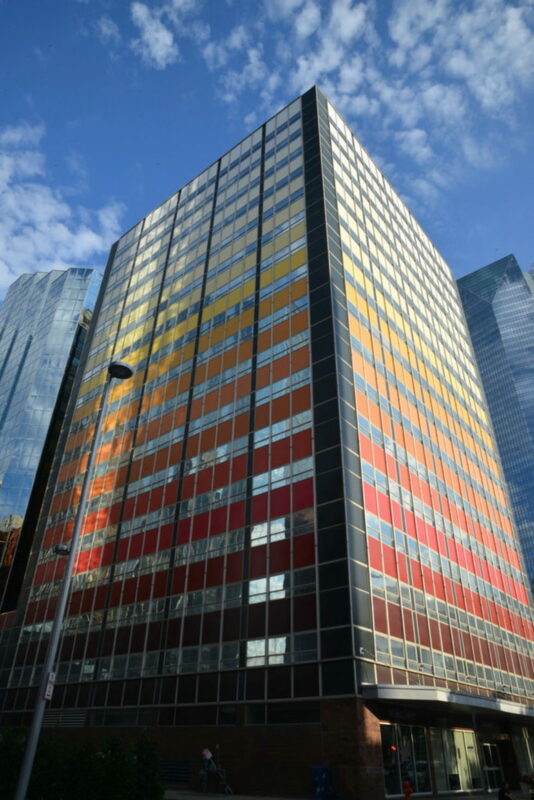 It was struggling along when the building was successfully converted to condos in 2006 and given a fun paint job a few years later. First Fidelity/Park Harvey was added to the the National Register in 2008, and you can read more about the history of the building here.